I.W. Harper Returns to the U.S.
Hello, fellow Crusaders! Yesterday I was fortunate enough to be at the formal coming out party for the upcoming new I.W. Harper releases. “But wait, I know that brand,” some of you might be saying–particularly if you or your drinking buddies spent anytime overseas or in the military. The I.W. 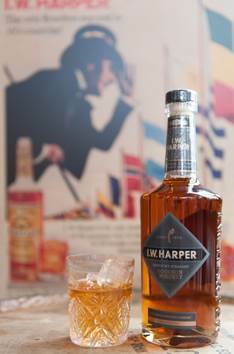 Harper brand has been dormant in the U.S. since the late 80’s/early 90’s, but it has been going strong in 110 other countries and military bases. Very soon though, we’ll get to take one back. Isaac Wolfe Bernheim was a business trained German who immigrated to the U.S. following the Civil War. Beginning as a “peddler of Yankee notions” up and down the east coast, he was forced to stop when the horse he traveled on died. He settled in Peducah, KY and took notice of the surrounding prolific whiskey businesses and decided to give it a shot. When deciding upon a name for his then sourced whiskey, he decided that ‘Bernheim’ was not nearly American enough to be successful. While reading the horse racing section of the paper one day, he saw a horse named ‘Harper’ and thought that was a strong, American name, and I.W. 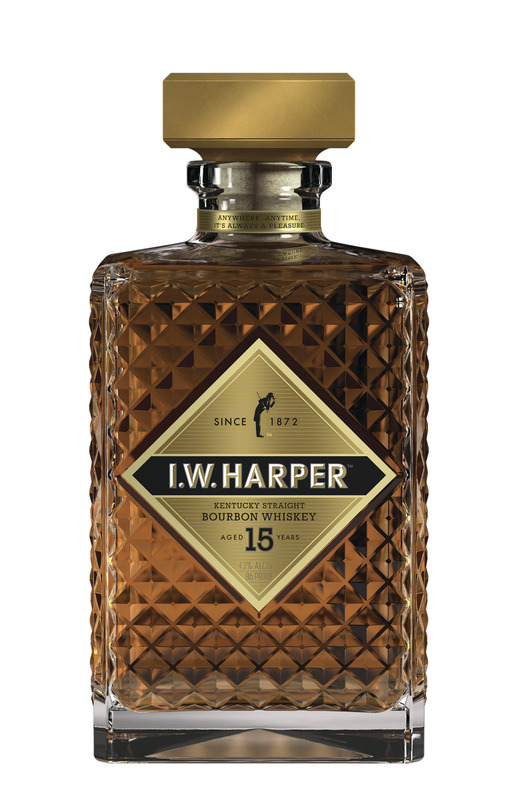 Harper Whiskey was born. He would go on to purchase a distillery with his brother and begin making the whiskey himself. The bourbon would become known as “The Gold Medal Whiskey” due to the awards it won in the late 1800’s. Bernheim Brothers and Company would shut down under Prohibition, and I.W. Bernheim himself was retired by the time the 21st Amendment was ratified. The brand was eventually resurrected and ended up in the hands of United Distillers, which later became Diageo. When American bourbon sales were languishing in the late 80’s/early 90’s, the brand was made export only and became very popular internationally, particularly in Japan. After a long absence, the brand is returning to the U.S., and I’m here to tell you what I thought. Distilled by: Officially it “contains whiskey distilled at the current Bernheim distillery.” Unofficially they’ve said the loss of the Four Roses distilling contract will not affect supply, so it probably is all Bernheim/Heaven Hill. It also was “most recently” aged at Stitzel-Weller. Nose: Heavy on the corn sweetness, spearmint, some nuttiness, and with more time the vanilla and coconut notes come out more, overall pleasant for a 4 year. Taste: Corn forward, spearmint again, a bit of a yeastiness (think Jim Beam) on the mid-palate, a little clove on the finish. BBB Rating: 2.5 Barrels. This is a bourbon that doesn’t have anything glaringly wrong with it, but also isn’t extremely interesting. I found myself comparing it a lot to Kentucky Tavern BIB, wishing it had more of KT’s punch and character. I really wish the proof were higher, but at it’s current proof, I can’t say I’d recommend spending $35 on it when so many good 4 year whiskies exist around $15. I’m glad to see it back but won’t be keeping a bottle on hand. Distilled by: This one is all Bernheim, and they state it officially. Again “most recently aged” at Stitzel Weller. Nose: Very sweet, candied nuts, slightly astringent, barrel notes come out more as the bourbon sits. 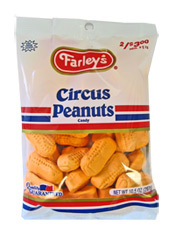 Taste: Circus peanuts (these if you don’t know what that is), lots of candy notes, berries/red fruits, new oak, a much lighter profile and finish than I would have expected, most likely due to the high corn content. BBB Rating: 3+ Barrels. This is a good bourbon. If you know our scale, 3 means we like it. I wish, really wish, this had been higher proof. Something is lost in the lower alcohol content. This one gets much better the longer you let it sit, hence the + on the end of the rating. I was very content to sit and sip this, but don’t think I would rush out for a bottle at that price point. Granted, it’s pretty hard to sell a 15 year old product for much cheaper these days. I would recommend trying it in a bar before you buy. Very pleasant, but lacks that punch that makes you remember it. Previous Post Bonded Mash Madness! Next Post Bonded Mash Madness Results!